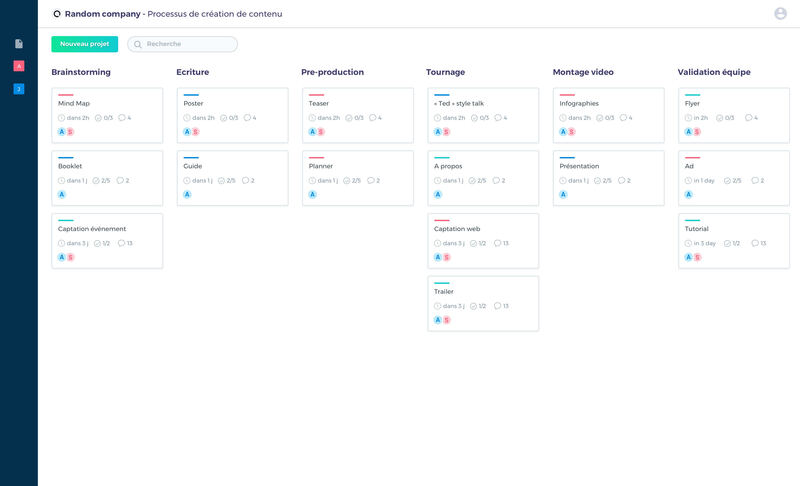 Meet Bubblz, a French startup that wants to optimize all the boring processes that slow you down. If you’re trying to hire someone, if you need to collect information from many people, if you regularly put together marketing campaigns, you can use Bubblz to automate all the steps and collaborate with your coworkers. Many people use Trello or another kanban-based tool to manage potential new hires and all sorts of processes that require multiple steps. Bubblz uses the same metaphor but with a few extra tricks. Setting up a process is going to take some thinking and a bit of time. But the idea is that you’ll save a lot of time once you have created a process in Bubblz. Each step is represented as a column. You can then configure some actions based on each step. For instance, if you’re trying to hire someone, your first step could be an online form to collect information and upload files. After that, you can review each application and configure multiple buttons. If you click yes, it can move the application to the next column. If you click no, it can send a rejection email and archive the application. If you decide to hire someone, you can track that the person has signed their contract or automatically send an email to the IT department to make them aware of the new hire. You can define a short todo list for each step. This is just an example but you can use Bubblz for other painful processes. You can create a new process from scratch or import one from the process library. I don’t think it makes sense to use Bubblz for everything, but it’s the kind of services that can make sense for some very specific issues and departments. Bubblz uses a software-as-a-service approach. You can create a basic account for free, and the company also offers paid monthly plans for advanced features.